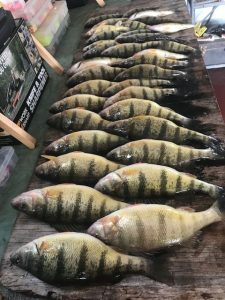 Saginaw Bay perch were still not in the cuts and river mouths yet. 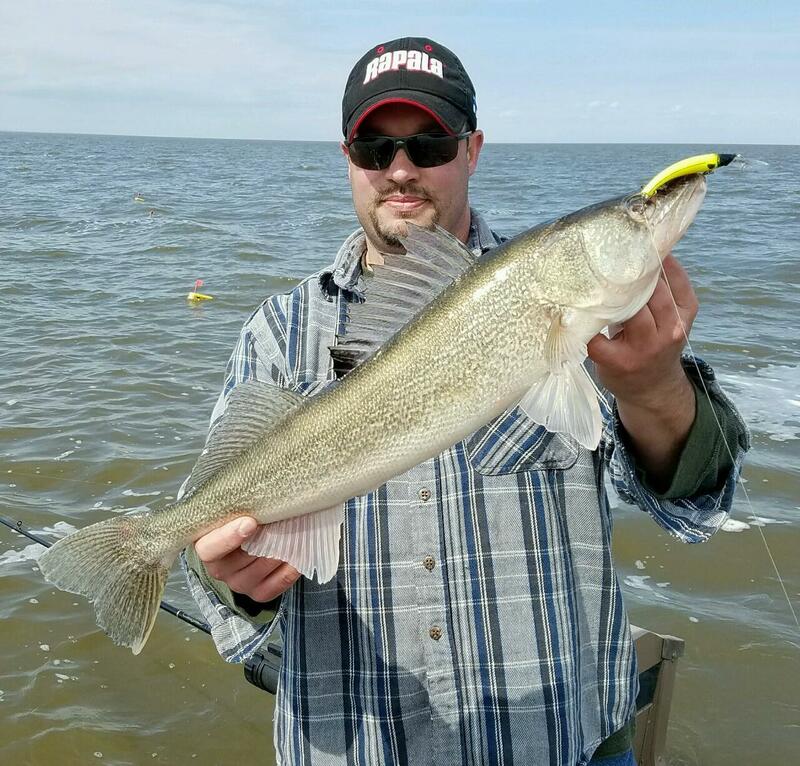 Boat fishing for walleye has been difficult because of windy conditions. There has been very little fishing activity from Pinconning to the mouth of the Saginaw River. 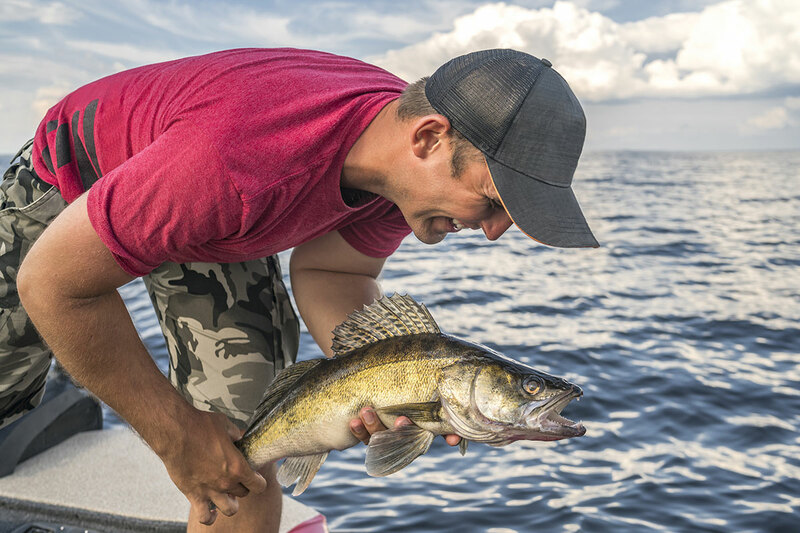 A couple walleye were caught out near Spoils Island but nothing much over 15 inches. 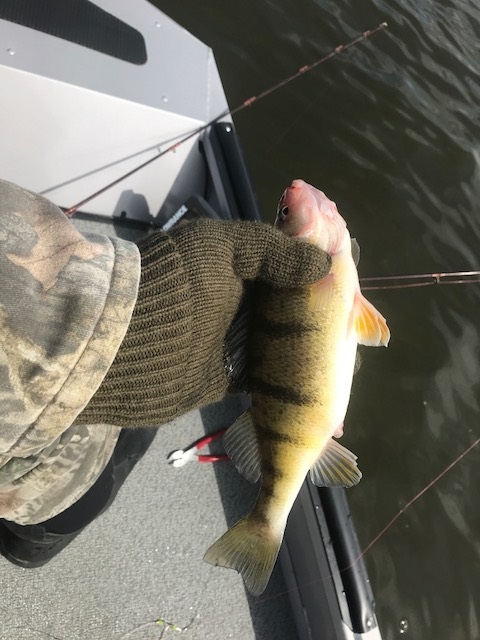 Moving east, a few nice perch were caught on a tiny tube jig in the open water at Finn Road. Not much to report on the Quanicassee River or at the Thomas Cut and Allen Cut except for a few small perch taken. Bluegills, crappie and small perch were caught in Sunset Bay Marina. The Sebewaing River and marina along with Mud Creek were slow as those trying for perch did not have much luck. The Caseville Marina was slow but pier anglers were taking a few lake trout on minnows or when casting hardware. 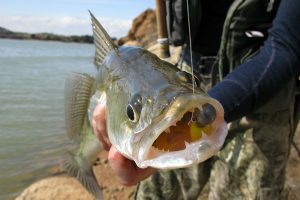 Rain this week should help bring water levels and water temperatures up in the rivers and that should get the perch and sucker fishing going. Saginaw River perch fishing in the lower river was very good with most boats in 30 feet along the shipping channel from the mouth upstream to the Bay Aggregate cut and also in front of Bay Harbor Marina. Crappie were caught in the tributaries. Au Gres River steelhead anglers fishing at the Singing Bridge did well when drifting spawn sacks in the lower river. Surf fishing was nearly impossible due to the strong east winds. Tawas Area on the pier at the state harbor, those fishing outside the pier caught some Atlantic salmon, lake trout and a couple brown trout or walleye when still-fishing with minnows or casting crank baits. The marina basin is full of minnows so perch fishing was hit-or-miss. Boats launching at the mouth of the Tawas River and fishing down near Alabaster were taking some nice lake trout when trolling or jigging. The sucker run in the Rifle River at Omer was stalled but the warm rain this week should help. Tawas River those drifting crawlers and spawn sacks were getting some steelhead. 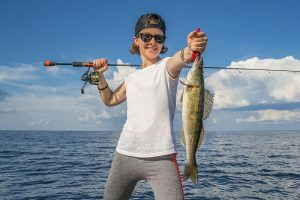 Additionally, a new registration system has been put into place for anglers who harvest a lake sturgeon or muskellunge. The lake sturgeon fishing permit and harvest tag and the muskellunge harvest tags are no longer required or available. An angler who harvests a lake sturgeon or muskellunge is now required to report the harvest within 24 hours and can do so online at Michigan.gov/registerfish, toll-free by calling 844-345-FISH (3474), or in person at any DNR Customer Service Center during normal state business hours with advanced notice of arrival. Please note fish registrations won’t be accepted at any state fish hatcheries or DNR field offices, only at DNR Customer Service Centers. 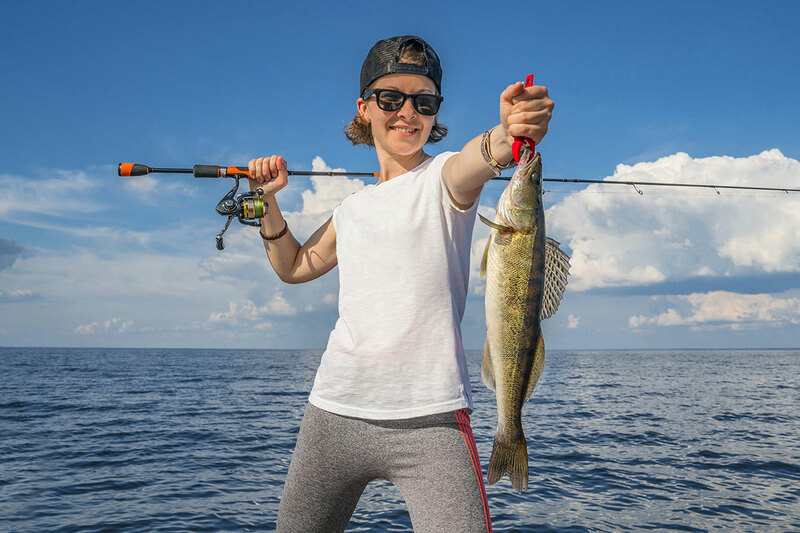 For more information, check out the 2018 Michigan Fishing Guide online at Michigan.gov/dnrdigests.